How to coexist with bats - these important & helpful creatures. By Rob Mies For owners of cabins, cottages and camps, living in nature is a wonderful experience. It can also be an annoying adventure – from the biting insects to the squirrels that chew on your cabin to the deer that eat the plants in your garden. The trick is to find a way to live in harmony with the animals that also call your property home. 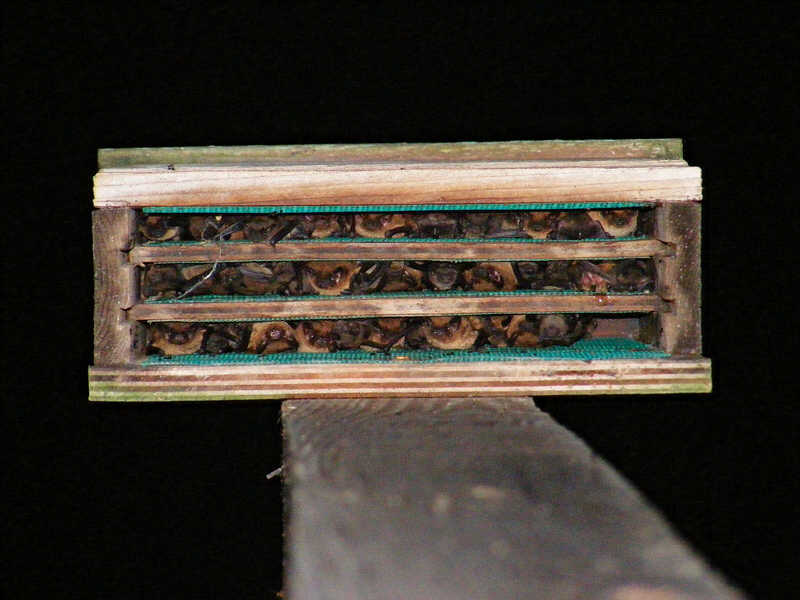 After reading this article, you may want to teach your friends and family about protecting bats, put up a bat house, and plant a native flower garden for bats and other wildlife. Bats are one of the most unique and important animals on the planet. They are the only mammals in the world that can fly, and they provide amazing ecological and economic benefits to humans. Most bats in North America eat bugs. As a matter of fact, bats are the primary predators of nighttime insects. One bat can eat thousands of insects each night. Many of these bugs include crop-damaging insects that destroy food. Other bats around the world pollinate plants like agave, bananas, and avocados and spread fruit seeds like mangos, dates and figs. Unfortunately, many people fear bats and purposely or inadvertently hurt bats. 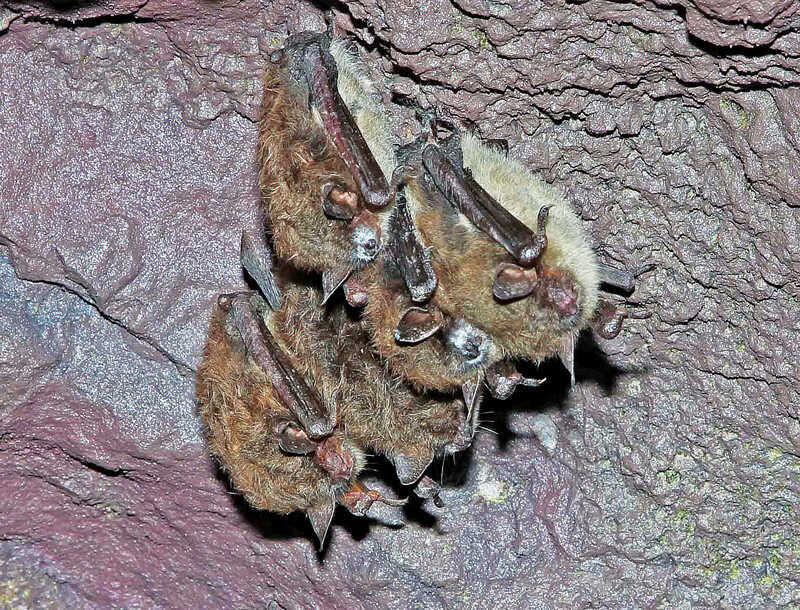 Bats naturally live in dead trees and rock crevices during the summer, where they raise their babies safe from predators. But when natural places are not available, many bats try to live in human buildings. That’s when people hurt bats to get rid of them. Bat houses give bats a safe place to raise their babies and sleep during the day. Bats also need healthy places to find food. Since most bats in North America eat insects or drink nectar, planting wildflower gardens will provide them much-needed feeding places. Moths and other insects are attracted to the gardens at night, giving the insect-eating bats healthy meals. Make sure to garden without pesticides so the bats are safe from consuming chemicals. Bats, with 1,300 different species worldwide, are the only flying mammals. About 50 species of bats live in the United States and Canada. Most bats eat insects – up to 5,000 each night! Female bats have one or two babies each year. Bats can live 20 to 40 years, although they don’t show signs of age. Bats use high-pitch sounds (echolocation) to navigate the darkness. Teaching your friends and family about bats is easy! Most people think bats are blind, will get caught in their hair, will drink their blood, and carry many diseases. Bats aren’t blind; they don’t like our hair; vampire bats only live in Central and South America; and very few bats get diseases. In reality, bats are incredibly important animals that consume large numbers of insects, pollinate important crops, and help plant delicious fruit trees. And they do this for free! Join the Save the Bats campaign. You can join millions of people across the continent working together to teach Americans about the importance of bats, the threats of extinction, and how we can work together to save bats. It’s easy for anyone to replace missing natural bat roosts with bat houses, plant wildflower gardens to feed bats, and reduce spraying deadly chemicals. We can’t let bats disappear. They are way too important. They are way too cool. They need us to help save them. So How Can You Help Bats? Plant a native flower garden for wildlife (including bats). Use pesticide-free methods of gardening. Plant shagbark hickory trees – bats love to sleep under the peeling bark. Teach friends and neighbors that bats are beneficial and in need of saving. Put up a bat house (or two or three) at your home and cabin. Join the Save the Bats Campaign at savethebats.org. There are many reasons to build a bat house. Chief among them: A single little brown bat can devour 500 to 1,000 mosquitoes in an hour. There’s some debate about whether that’s a significant number, but look at it this way – that’s thousands fewer skeeters that can snack on you in an evening. Here’s a building plan for a simple bat house that will hold up to 50 bats. After you build a bat house, mount it at least 12 feet above the ground on a wooden or masonry building if possible. Place the house so it faces south in cooler climates or east in hotter climates. Roughen inside of backboard and landing area by cutting horizontal grooves with sharp object or saw. Space grooves about ¼ to ½ inches apart, cutting 1/16 to 1/32 inch deep. Apply two coats of dark, water-based stain to interior surfaces. Do not use paint, as it will fill grooves, making them unusable. Measure and cut furring strip into one 24-inch and two 20½-inch pieces. Attach furring strips to backboard with screws, caulking first. Attach the 24-inch piece across top. Attach the 20½-inch pieces down each side. The interior of bat house (roosting chamber) will be ¾ inch deep. Attach front pieces to furring strips, top piece first (don’t forget to caulk). Leave ½-inch vent space between top and bottom front pieces. Caulk around all outside joints to further seal roosting chamber. 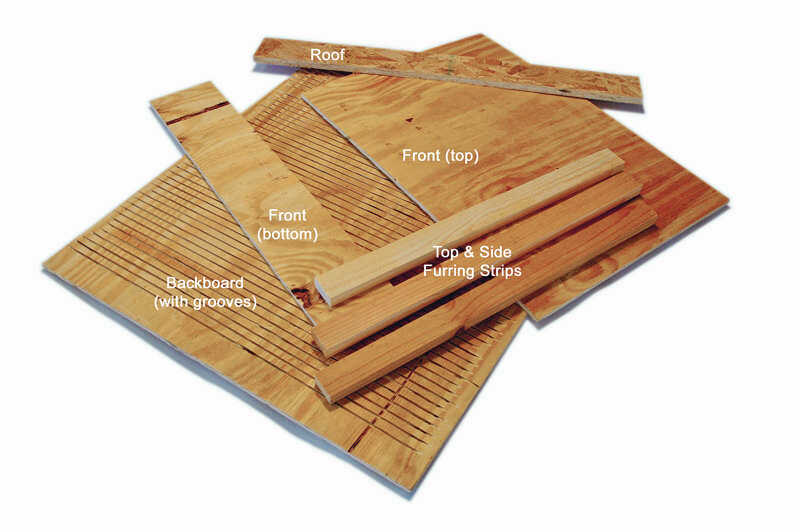 Attach a 1x4-inch x 28-inch board to the top as a roof. Paint or stain exterior three times (use primer for first coat). 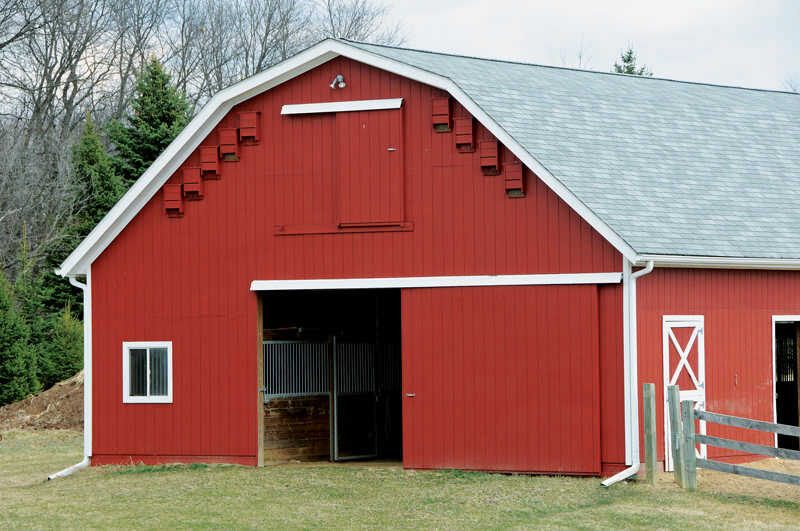 Cover roof with shingles or galvanized metal (optional). 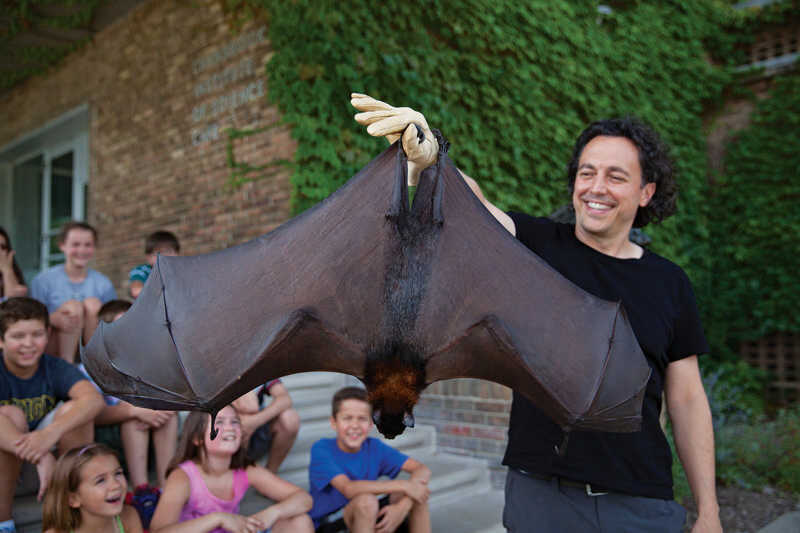 Rob Mies displaying the biggest bat in the world; it has a 6-foot wingspan. The Malayan flying fox is a fruit bat found in southeast Asia. An invasive fungus from Europe arrived in the US in 2006. This cold-loving fungus thrives in cold, humid climates of caves and mines. Many bats seek refuge from cold winters and the reduction of insects. 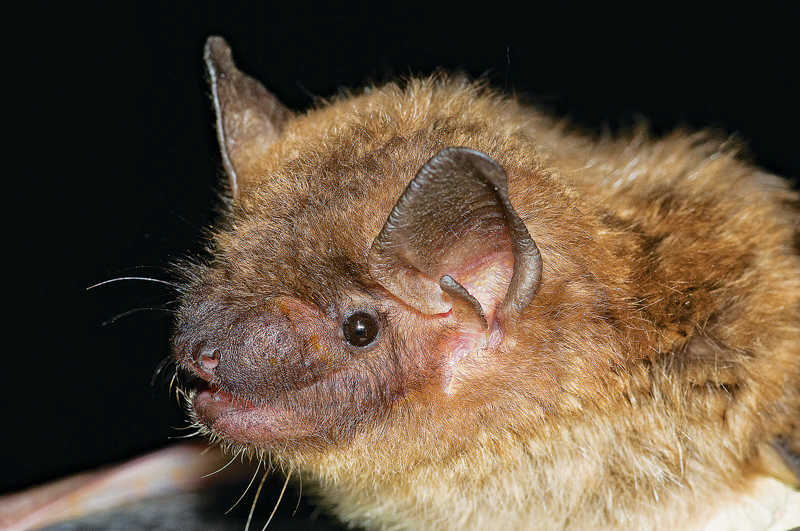 While hibernating in white-nose-syndrome-infected sites, bats wake to fight off the invasive fungus growing on their skin and changing their metabolism. After waking too many times during the winter, the affected bats fly out on the landscape in search of food, most often only finding snow and cold. And they parish due to starvation. Over the past decade, the deadly fungus has spread to 30 states, 5 provinces, and has claimed the lives of nearly 1 million bats each year. Scientists have discovered successful laboratory treatments to assist bats in fighting off the fungal infection. These treatments are currently being tested in limited caves and mines to determine if they can be applied on a large scale. If we don’t stop the spread of this fungus soon, it will be the biggest wildlife catastrophe in North America in the last century. Rob Mies, Cofounder and Executive Director of the Organization for Bat Conservation, is a bat scientist, author and conservation spokesperson. He has appeared on many national television shows including the recent Discovery Channel series Trailblazers where he explored the caves and forests of Papua New Guinea.